Sky has announced that its Sky Sports for iPad app has been updated to provide a second screen experience for football fans, complete with in-depth stats. 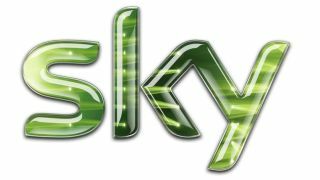 Somewhat belatedly, Sky announced the app's arrival today – two days after it actually hit the app store – so for many football fans the experience will be new for the next raft of Premiership fixtures. But for those who stumbled across the updated functionality they will have seen team and player profiles, match day stats, team form and social media streams. "We know that Sky Sports customers want the latest stats and facts about their favourite teams and players, and the new Football Match Centre within the Sky Sports for iPad app does just that," said David Gibbs, director of Sky Sports digital media. "With over half a million downloads since launch, we hope that the addition of a football second screen experience to the iPad app will continue to excite fans, providing an intuitive and innovative way to follow the match included as part of their Sky Sports subscription. "The update builds on the success of the Formula One and Masters second screen experiences which add more depth to a viewer's enjoyment of our linear channels." Sky's apps have proven to be hugely popular in the UK, and the company's focus on the tablet as a second screen has been clear. The company states that the Football Match Centre will accompany Premier League matches broadcast live on Sky Sports, enabling Sky Sports customers to enjoy Barclays Premier League football like never before. The new app update follows the success of a F1 app that proved a popular accompaniment to Sky's coverage of Formula 1 racing.